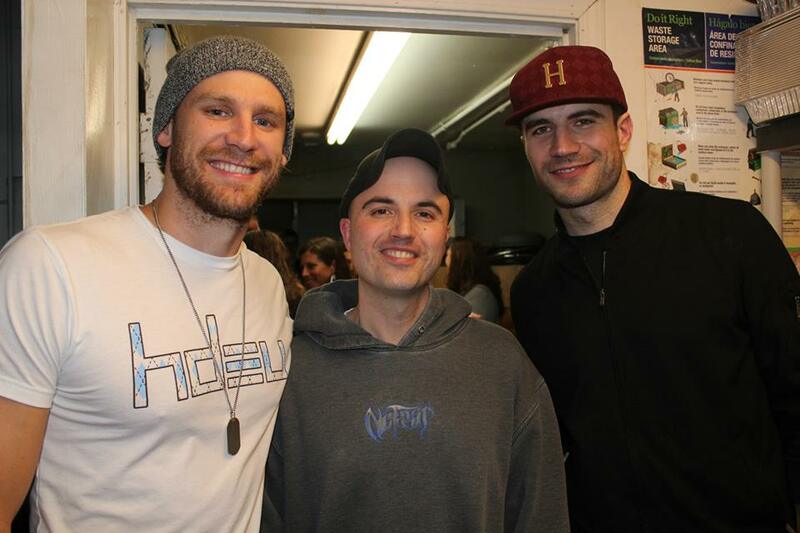 If you haven’t heard the names Chase Rice and/or Sam Hunt…then you need to look them up (and you might as well go do it now). On February 26, Rice and Hunt put their talent on display at the Rodeo Club in San Jose, California, for a show that was not to be missed. First, a little bit of background. Rice has released two albums, Country as Me and Dirt Road Communion. He released his second 6 song EP, titled “Ready Set Roll”, featuring the single “Ready Set Roll” back on October 15, 2013. Oh, he also co-wrote a song that you might have heard…the number one single performed by Florida Georgia Line called “Cruise”. Ring a bell? The show was high energy from beginning to end. Lots of fan interaction and just really good music. With a set list including “Party Up”, “I Like Drinking, Cause it’s Fun”, “Dirt Road Communion”, “Country in Ya”, “Whoa” and “Jack Daniels & Jesus”, Rice had the crowd eating out of his hand. Could I really pick a favorite song of the evening? Probably not. The reason? In reality, while there were some great tunes, they all fell into a fairly similar theme (drinking and women). Not necessarily a bad thing. I mean, this was a country music show. But I hope to see a little more diversity with the next few singles. He’s definitely got the talent to take it to the next level! But before you go running off to check him out…hold on just a second. Rice wasn’t the only one who rocked San Jose last night. Let’s not forget about Sam Hunt. In my opinion, Hunt is one of the top, up-and-coming singer-songwriters in country music. Also, get this, he’s a former college football player. He co-wrote Kenny Chesney’s 2012 single “Come Over”, for which he received an award from ASCAP. Last year, Hunt released his debut single “Raised on It” and he also wrote two singles released in 2014: Keith Urban’s “Cop Car” and Billy Currington’s “We Are Tonight”. Never heard of any of those, right? During his set, Hunt played each of these hits as well as a selection of other crowd favorites. My favorite: without hesitation was “Ex to See”. Loved it before I saw him live and loved it even more during his performance last night. The set list also included “Leave the Night On”, “Take Your Time”, “House Party”, his current single “Raised on It” and the ballad “Speakers”. Great songs and live performance for sure. One thing I do have to add is that Hunt has an acoustic mixtape (Between the Pines) that you need to check out. The playlist contains 15 songs and you can find it here. KRTY always puts on a great show. Anyone who’s a fan of country music in Northern California knows this. This show was no different. A $50 show for only $15. A no brainer. Go check them out when they come to your town! One little thing I want to throw in here at the end is congratulations to KRTY General Manager Nate Deaton. Deaton was recently awarded “GM of the Year, Large Market” at the Country Radio Seminar in Nashville. A well deserved (and overdue) recognition for the man who brings the best acts in country music to San Jose. Congrats Nate!